There are a number of different keys to success when it comes to interviewing, and one is to avoid easy mistakes. I should know, because as a former job seeker, I’ve made them all! Certainly, if you have spent time doing the research and preparing for your interview, you are setting yourself up for success. That being said, there are easy ways to trip up in your interview that you will want to plan for. Here are some common/easy mistakes to try and avoid in your next interview. Rambling Answers. To quote the Allman Brothers Band, “I was born a ramblin’ man.” This is not just true for me, but many people. When we get nervous, sometimes it’s easy to start talking before we really know what we’re going to say. So you might take a deep breath, repeat the question to confirm you heard it correctly, and you might even take a minute to think about your response. In fact, depending on the type of question, you might use STAR method as a way to build your answer. What was the situation or thing you were tasked with doing? What action did you take to accomplish it? What was the result? This is great for behavioral based interview questions (Tell me about a time when… Give me an example of…. Etc.). For more information on STAR method, check out this great blog post! Arriving Late or Too Early. As an agency recruiter, I always advised candidates to arrive at least 20 minutes early. The idea is that you spend the first 10 minutes finding parking, using the restroom, walking around the block, etc. and then you check-in for the interview 10 minutes early. Arriving early shows the employer that you are conscious of their time, you’re disciplined and thoughtful in your planning, and that this is important to you. Keep in mind however, you don’t want to check-in for your interview too early. If the employer knows that you’re there waiting in the lobby 45 minutes before your scheduled time, that would be a bit awkward. So, in short, feel free to get there as early as you want but try to check-in for your interview just a few minutes before the scheduled time. Asking The Wrong Questions. Part of your preparation process should be coming up with questions for you to ask the employer at the end of the interview. As you’re researching the job description, the company, and your interviewers you want to come up with thoughtful questions that will show your interest and level of engagement. While the worst thing you can do is ask nothing at the end, another bad mistake would be to ask questions that don’t illustrate your level of engagement in the job. Avoid questions about salary, parking, attire, benefits, etc.. 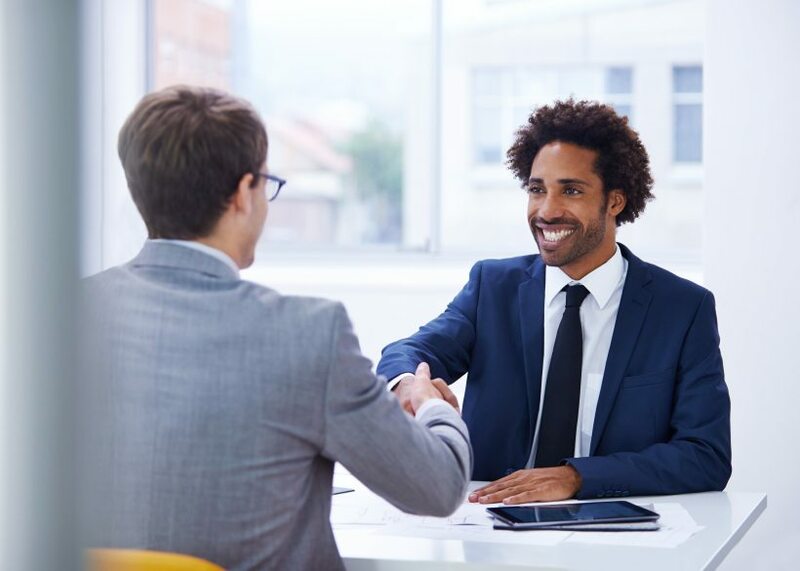 Though these questions may be an important part of your evaluation of this particular job, you want to wait until you get an offer to ask about these things. It will be less impressive to the employer to hear you ask about parking logistics than if you were to ask about the company’s 5-year strategic plan or opportunities for interdepartmental collaboration. Use the research process as a way to identify engaging questions to ask, and you might also look at suggestions from Liz Ryan at Forbes.com on other great questions to ask. These are just a few suggestions for a more positive interview experience. Additionally, you’ll be excited to know that BigInterview (a virtual and multi-faceted interview practice tool) will be available to DU students in the Fall. Ask your Career Advisor about it! For more information on effective interviewing, check out this Zoom In session on interviewing with guest facilitator Jason Berumen from Webroot!